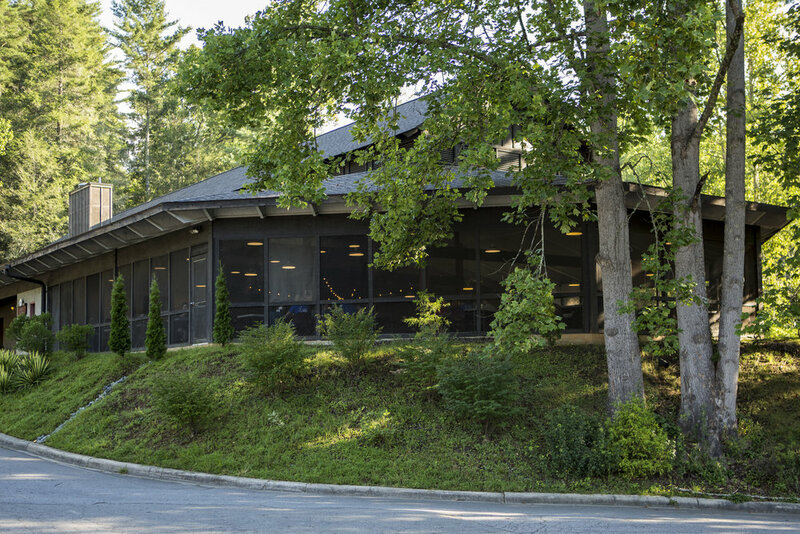 The Brevard Music Center Campus offers a wide variety of facilities including the newly-renovated Whittington-Pfohl Auditorium (1800 seat amphitheater), Straus Auditorium, numerous large rehearsal spaces, over 100 practice rooms, housing, Searcy Cafeteria (dining hall), and outdoor recreation areas. Click here to read more about the campus facilities. 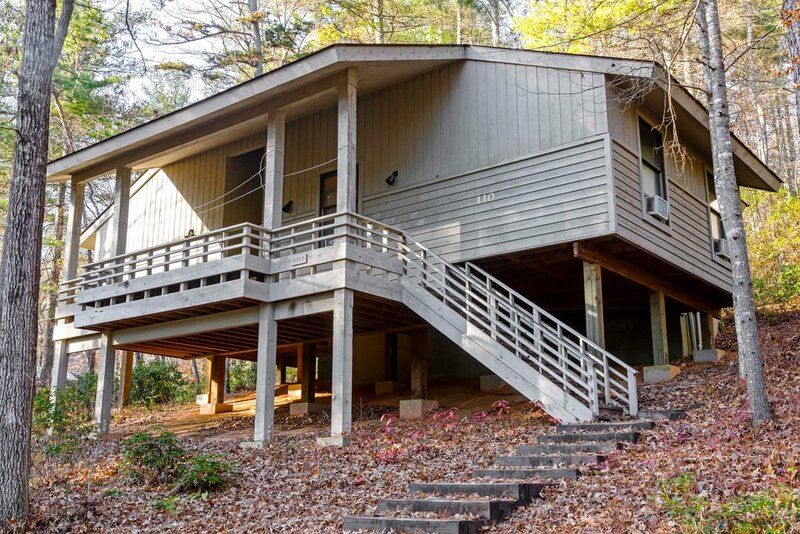 To learn more about Brevard Music Center's cabin rental pricing, click here. 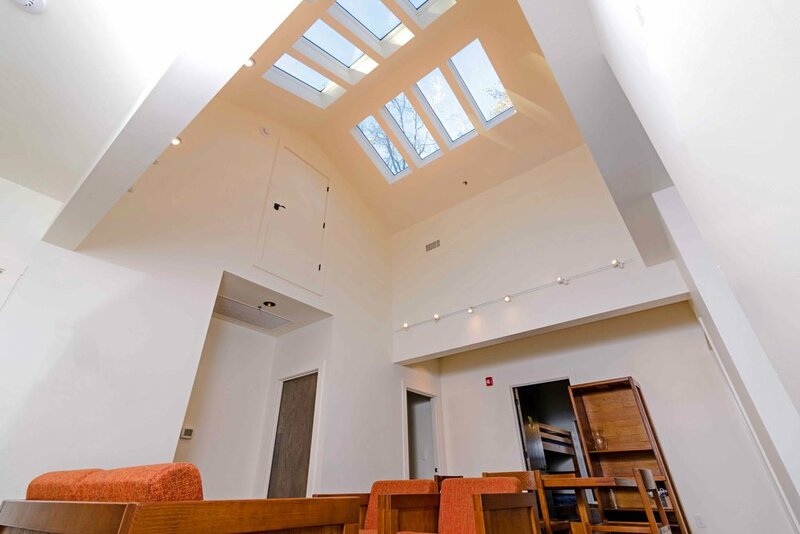 To see inside the dorms and cabins, click here. 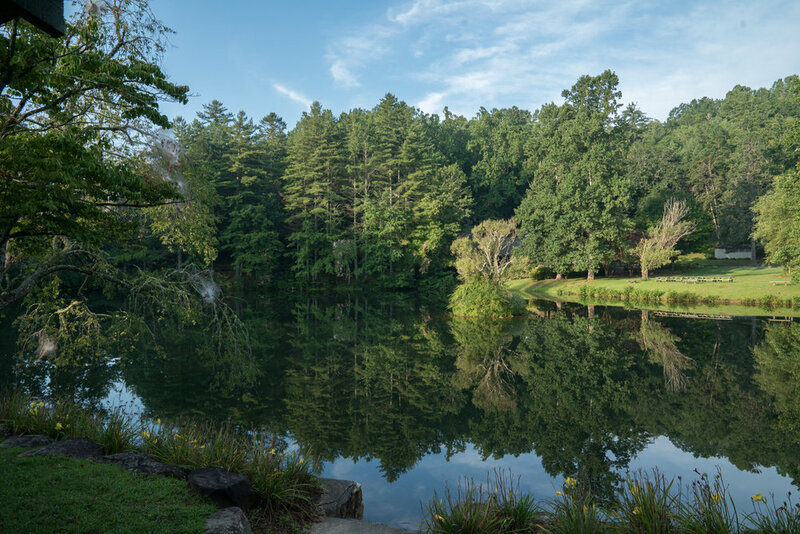 Learn about camping at Pisgah National Forest. 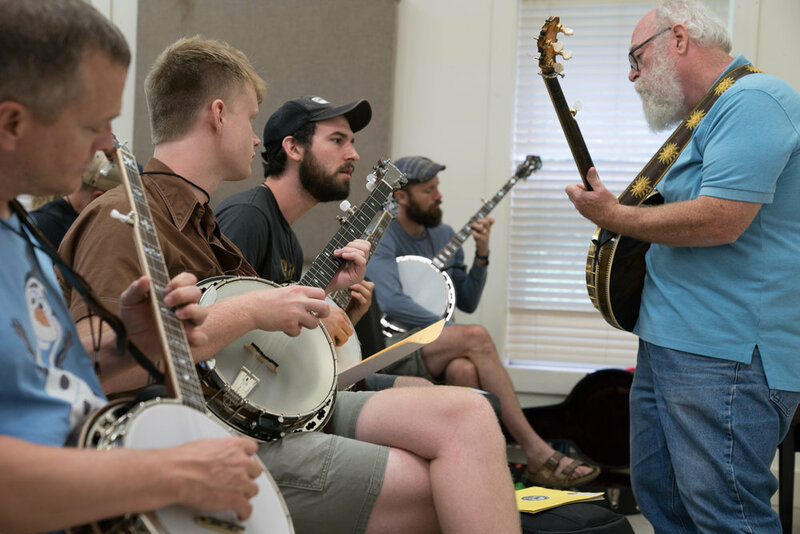 The Brevard Music Center’s Whittington-Pfohl Auditorium serves as the main stage for Blue Ridge Banjo Camp. There are 1800 permanent seats under the covered section with ample lawn seating on both sides of the open air venue. 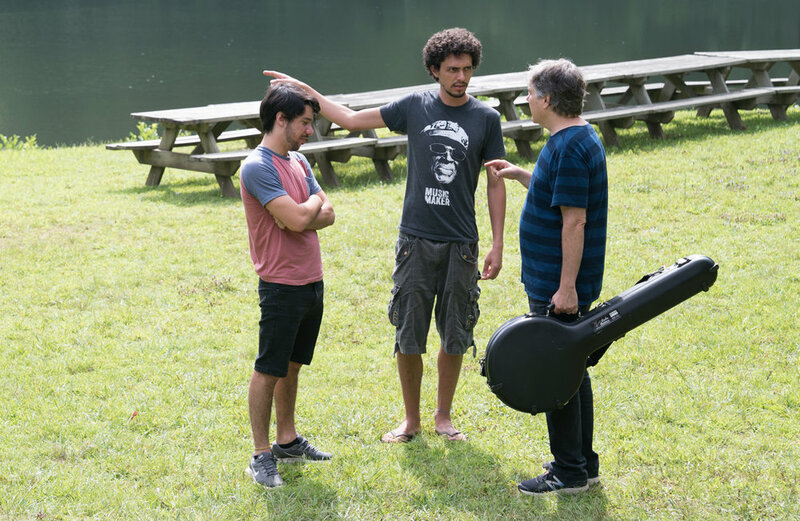 Nestled into a beautiful cove with Pisgah National Forest as a backdrop it is an inspiring location for a great musical experience. 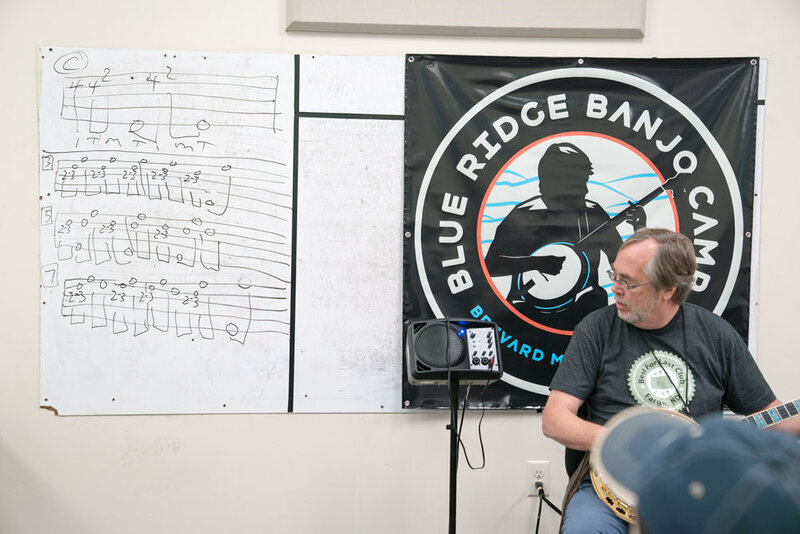 The Brevard Music Center is dedicated to making a great experience for all of its participants. 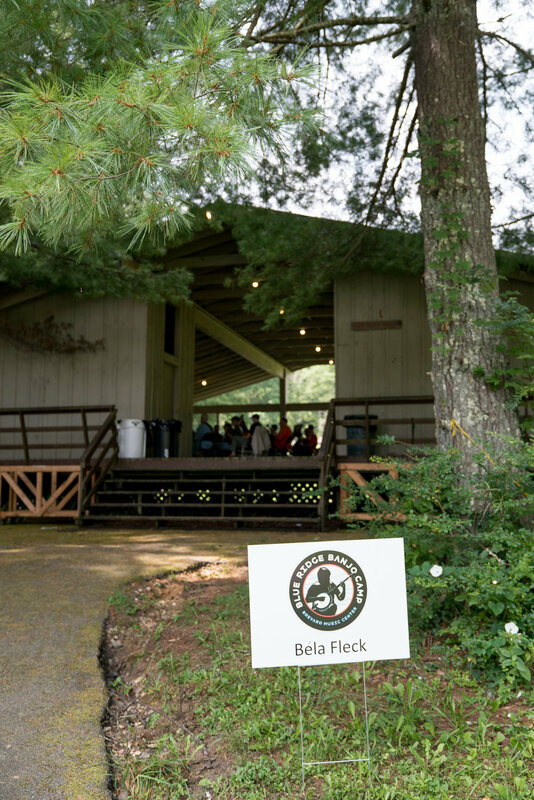 Many of our performance spaces and buildings are easily accessible, but we are happy to work with you on any special needs you many have during your time on campus. Please contact Andrew Parker, BMC Artistic Coordinator, to discuss any questions or concerns that you may have about our campus or facilities. He can be reached at aparker@brevardmusic.org or 828-862-2116. 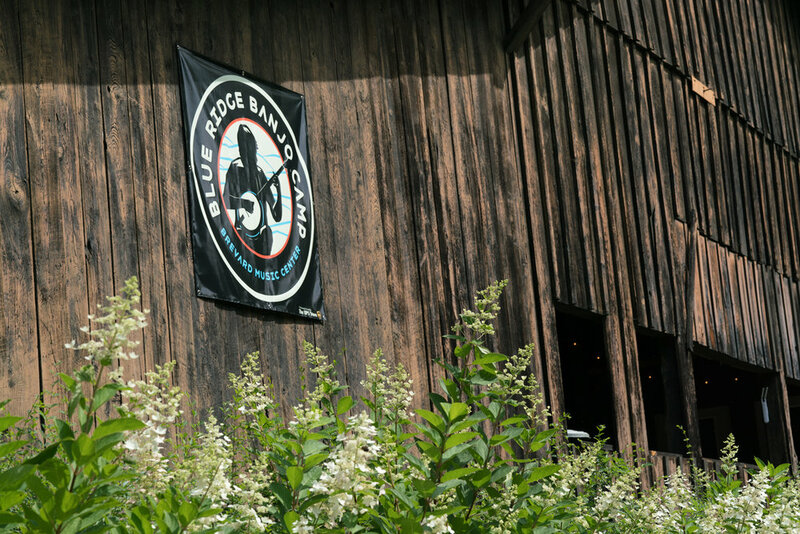 Catering for Blue Ridge Banjo Camp is provided by Wild Indigo Catering.